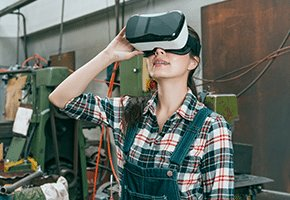 Both Virtual Reality and Augmented Reality have seen a huge rise in their applications and popularity, for use by the general public and in industrial and business capacities. However, with both technologies seeing such increases in everyday use, it can be hard to pick apart how they differ. Breaking these terms down, VR is a computer-generated simulation that makes the user feel as though they are experiencing, first-hand, a recreation of a real environment. Via visual and auditory input, the user is taken inside the simulation. AR, on the other hand, grafts computer-generated digital information onto everyday reality. Via a phone or tablet, AR shows a user the real world and then adds a layer of information – images or text, for example – on top. The audience for AR is growing by huge margins every year. AR market size accounted for $17.8bn in 2018. By 2021, that figure will be $215bn. Augmented Reality has exploded into the mainstream in the last couple of years, and the technology is only going to cement its place going forward. With phone manufacturers making targeted efforts to make AR a core part of their products, the uses and sophistication of the technology are going to blossom. 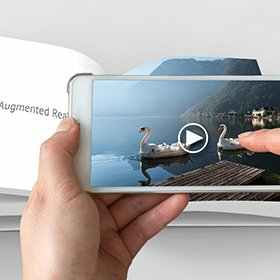 AR essentially has a world-wide, ready-made user base through penetration of smartphones, and developers are eager to create new modes of expression for the technology. Companies such as Apple and Google have invested huge sums in new product development, making it a centrepiece of their business going forward. While Google has announced AR support for its apps, Apple has developed its own AR development platform – ARKit. Enabling developers to build rich AR experiences for the iPad and iPhone, ARKit takes captured environments and then makes it possible to add characters, text and objects. What’s more, these creations are continuous and viewable by other users of the technology visiting the same location later. Making quick-time use of the iPhone camera’s top-tier features, ARKit gives extremely accurate location mapping and can track a number of objects in the environment. As we are still on the cusp on this technology, we can surely expect newer and more powerful handsets to be in the pipeline, able to deliver this and much more in the future. When it comes to developing AR for handsets, there are two ways to go about it and both have different applications. Location-based AR relies on the parts of a phone that tell it where it is – things like GPS and information from a network provider. This provides location-based (it is aptly named) information back to the handset itself. In terms of applications, this type of AR is ideal if you’re in an unfamiliar city and need to find your way around. Location-based AR can use phone data to identify surroundings and then provide visual directions. In the near future, having to ask for directions in a foreign language could be a thing of the past. Marker-based AR works in a different way. It uses information taken from a device’s camera and then identifies fixed points of reference for scale and position – markers can then lay animations, 3D or 2D graphics over the real-world image. Marker-based AR enables a device to know the position and plane of objects, thus making for seamless AR overlay. Marker-tracking is useful because it only requires visual information to work, whereas location-based AR requires additional gyroscope information from a device. 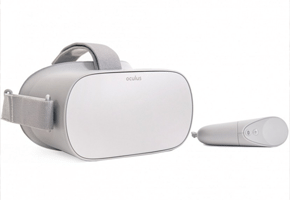 With all of this ground-breaking tech and interplay between handsets and AR, developers are finding new uses every day for the technology. At an everyday level, AR is great for user avatars and responsive emojis. 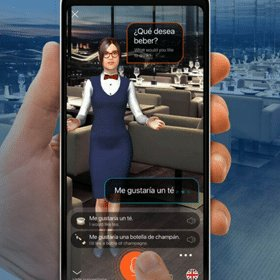 Samsung has developed its AR Emoji program, which makes use of on-phone facial recognition technology and can create a 3D avatar based on the user’s face, for just such a use case. The package also adds the ability to send and receive custom animated emojis. AR uses don’t begin and end with avatars and emojis, however. AR can also serve a raft of practical uses. Mondly, for example, embraces AR in the learning of a new language. With thirty-three languages offered and daily exercises to complete, the app uses AR in an ingenious way to facilitate learning. The user points their phone’s camera at a flat surface – such as the floor or a table – to summon up their very own teacher in Augmented Reality. On a completely different note, Ink Hunter furnishes users with the ability to select a style of tattoo and superimpose it onto their skin. By using either pre-made or personally created designs, the user can orient and scale extremely realistic looking tattoos onto their body. Working in both colour and black and white, it’s a completely new way to see how a tattoo might look before taking the plunge. On the home front, AR can also help shoppers decide on new purchases. 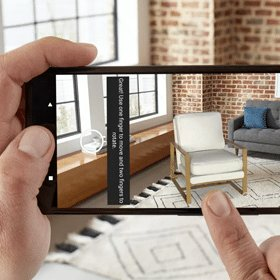 Amazon’s AR shopping tool gives users the ability to see what an item might look like in their home before purchasing it. By rendering and overlaying an AR image of a product – from cookware to blankets – the user can size up the purchase as if it were already there. This is a simple and hugely practical application, and one that speaks to Amazon’s continuing quest to stay ahead of the competition. 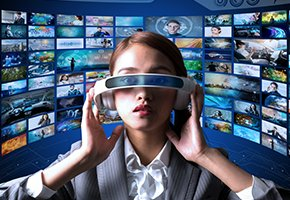 All in all, the rapid advancement of AR and mobile technology offers some compelling opportunities across a spectrum of users, industries and occasions. In the coming years, it is likely AR will find a strong position in retail and customer engagement, gaming and in the workplace. The ability to superimpose any scenario or image onto the real world is undoubtedly of great importance and value in a number of fields. For brands, AR is the next great frontier – the internet of its generation. Already, we are seeing compelling AR opportunities reveal themselves, with thought leaders pressing the technology into service across for all manner of purposes, from marketing and customer engagement to education, training and induction. Don’t be left behind. Contact us to find out more about how we can help you leverage these opportunities to drive your business forwards. Let our Melbourne AR studio develop your next Augmented Reality application and rich AR content experiences.